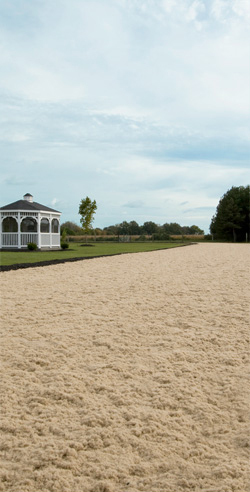 ThorTurf has revolutionized the horse footing industry by developing the most unique synthetic dustless footing. Made with our premier DLA (Dust Lock Additive) technology, ThorTurf has been specifically engineered for the quality and performance you demand on your track or arena. Created to provide impact resistance, these consistent and uniform blends provide the perfect mix of dust free, low-maintenance footing for optimum durability and equine safety. ThorTurf will remain stable in changing weather conditions, regardless of heat, cold or rain. Movement from cushion to the rail is eliminated, giving you a consistent, no-bias track. Manufactured at our home facility in Sandusky, Ohio, this polymer coated sand and fiber mixture is a standalone product that does not mix in with existing footings. ThorTurf will eliminate the time required for maintenance significantly by offering you an arena surface that does not require watering. 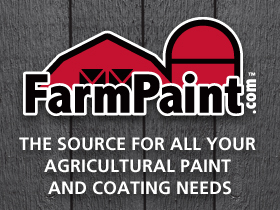 It is freeze resistant; therefore you are able to use it in both your indoor and outdoor arenas. With its free draining base, water will not seep in your arena and will instead drain through and out. ThorTurf is completely wax free. The truly unique look, feel, and texture of ThorTurf provides the ultimate riding experience. Beneficial for all riding disciplines, ThorTurf will maintain lasting impressions for years to come.